Fragrance and flavor in one tree! 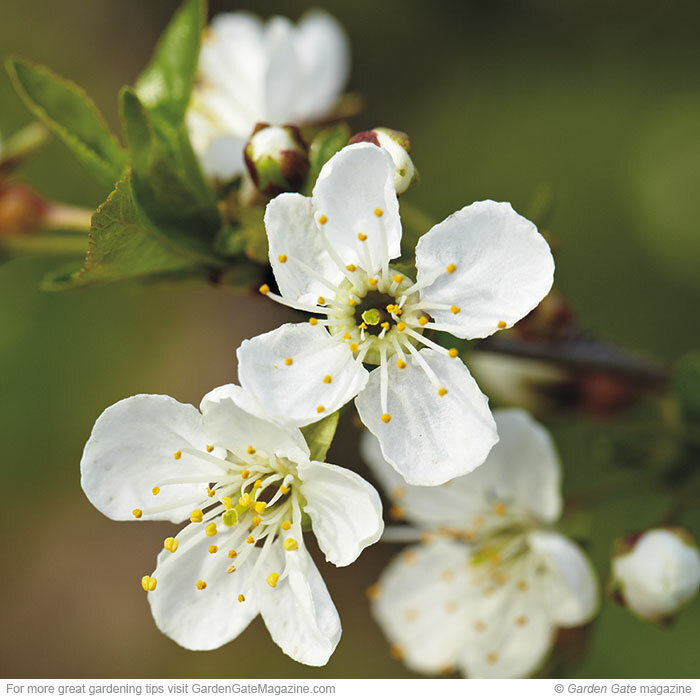 Get beautiful blooms and delicious fruit all on one easy-care tree! 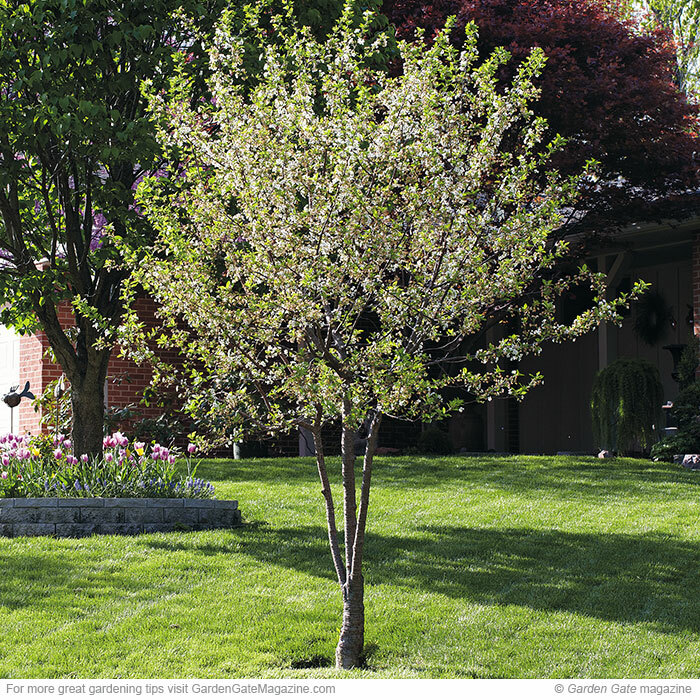 Give ‘North Star’ sour cherry (Prunus cerasus) a spot in full sun with well-drained soil for large harvests year after year. And unlike some other fruit-bearing trees, you only need to plant one ‘North Star’ to see fruit. Six to 11 ft. tall and wide and cold-hardy to USDA zone 4, ‘North Star’ has multi-season interest: Green glossy foliage turns orange-red in fall — just click ahead for a closeup of its spring flowers and red summer fruit. In spring, clusters of small white flowers cover ‘North Star’, giving off a lightly sweet fragrance. 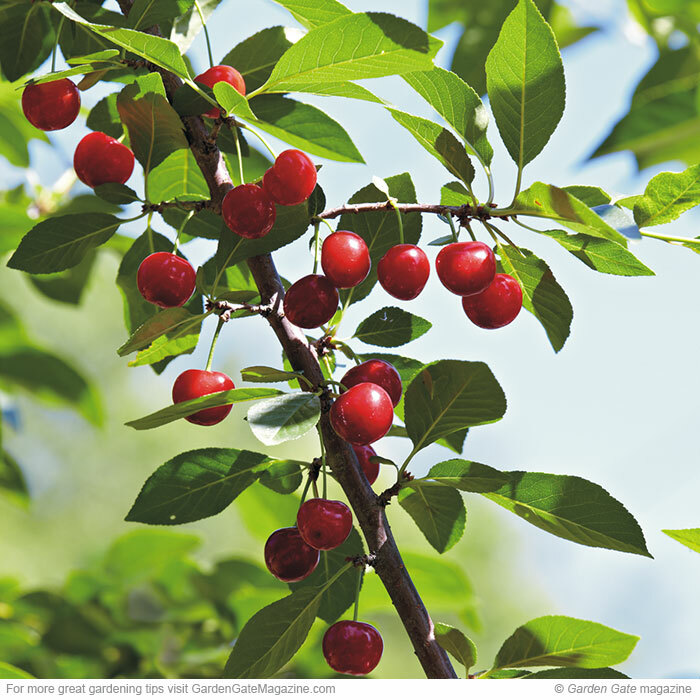 In the South, look for the tart cherries to ripen in early summer; in the North, pick cherries later in midsummer, around the beginning of July. The darker the fruit, the less tart they’ll be, so you can wait until they become dark red to pick and eat. Protect your harvest from visiting birds by covering the canopy with poly-mesh bird netting and tying it around the trunk of the tree. Do this as cherries start to turn red in late spring and early summer, and then remove the netting and store it for next season when you’re ready to pick.